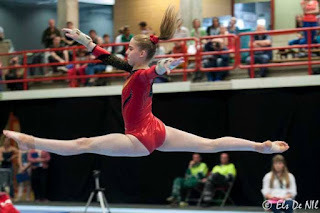 Hélia Hocquet began gymnastics at age 7 at Gym Passion Herseaux. She quickly makes progress and the need to train in an Elite structure arises. In 2010, she joins the Elite centre in Mons. She participated in several international events including the Tournoi International in Combs-La-Ville (France), the International Gymnix Canada and a friendly match against the Spanish team. She was a reserve for the European Junior Championships which were held in Brussels in 2012, before one of her teammates, Mathilde Schoonbroodt, got injured. She was then a on the team. 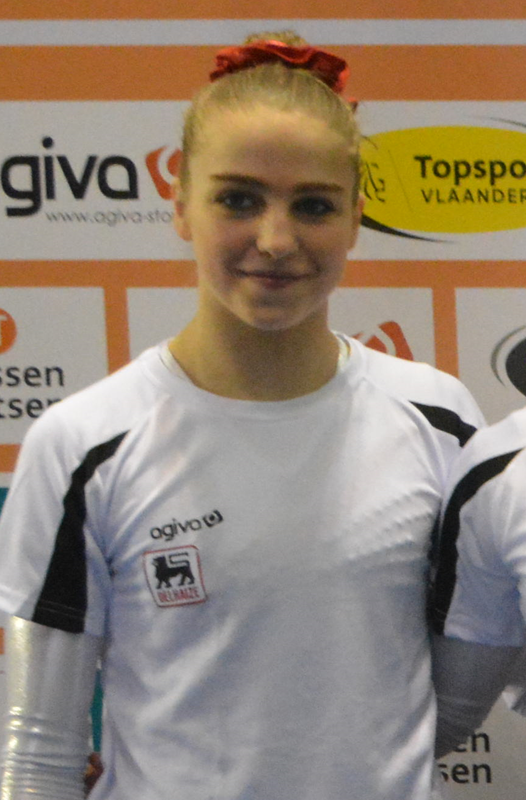 In Brussels, she ranked 12th with the Belgian team. She turned Senior in 2014, and was 6th at Belgian Championships. This year, she did even better, placing 5th, before competing in the first edition of the Flanders International Team Challenge in Ghent, where she contributed in team belgium's score in qualifications.